I myself preordered this game way back in July and I have as beyond stoked about it. I have always been a huge fan of ancient Egypt and in the last few years a huge fan in f Assassins Creed. Still not sure where my interest in Egypt came from, but I fell in love with Assassins Creed and am working towards completing the entire series. As the weeks and months pass leading up to the release of AC Origins, I began to get nervous because everytime I turned around I started to realize just how much of the core mechanics were changing in the series. The first main change that I have played with and still struggle with is the complete overhaul of fighting as well as the takedown mechanic. You would think moving the attack buttons to the right bumper and right trigger would be an easy adjustment considering all the FPS games that use them for shooting, but time and time again I found myself blasting away on the X button during intense fights. I understand there is a way to change this but I find myself wanting to give it more time to see if I adjust to it. The change of the takedown button hasn’t left me in as bad a position so overall I’d have to give a score of 6/10 to the default button layout. The largest change for me personally and I understand ancient Egypt wasn’t known for an over abundance of 2-6 story buildings and that’s cool but I feared that it would take away from the overall gameplay. So far It hasn’t distracted me from the gameplay which is overall pretty friggin good. The flip side of this coin is the improved climbing/mantling mechanic which is far better than in previous installations. I can’t tell you how many times I went running leaping and ending up hanging by my hands from a lamp post or short wall. That has not been the case in Origins. I find myself vaulting walls and climbing buildings with ease. I give this mechanic a solid 9/10. Another subtle change as this is the beginning of the brotherhood, is the fact that there isn’t a structured organization backing our protagonist. He’s one man, in a mission and has to rely on the people he has encountered in his life as well as new friends along the way. I haven’t finished the story yet, but I look forward to it and for this reason I won’t score the story but I can tell you this it gets emotional quickly. 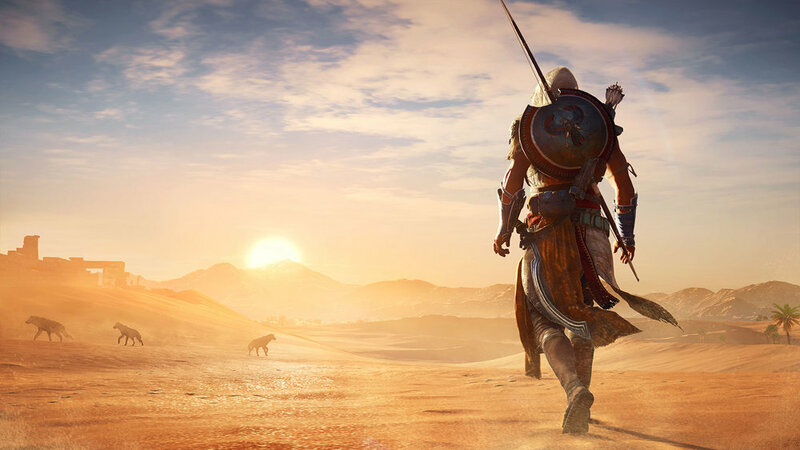 Additionally I know there are other changes in the game but I haven’t made it too far into yet but I look forward to finishing it and give you a more in-depth look into Assassins Creed Origins. But for now I will leave with the opinions of a casual gamer.....I’m loving what they are giving me and I hope we will finally understand why the Assassins are so cool and do what they do.